This page links to articles, by various authors, about different breeds of horse. American Quarter Horse One of my personal favourite breeds of horse. I'm not alone in this as the American Quarter Horse Association is the largest breed registry in the world today, with over 5 million horses registered. A versatile American breed of horse, originally bred to be a ranch work horse during the week and race short distances over the weekend. It has great cow sense and is agile. It has a real turn of speed but remains laid back among excitement and bustle. It is a particularly intelligent breed of horse, often referred to as being more like a big dog in nature! One of mine used to, as a foal, give me her lead rein when she wanted to go for a walk. Named the American Quarter Horse because of its ability to outrun other breeds of horse over a quarter mile or less, with some horses having been recorded to run speeds up to 55 miles per hour (about 89 km/h). These days the American Quarter Horses can turn a hoof to most things that other breeds of horse can do, but is still well known for racing, ranch work, rodeo and the western performance and pleasure sports, including reining, barrel racing and trail riding. The American Quarter Horse is also successfully shown in English disciplines, driving, and showing - I knew of one who was an excellent cross country horse, but as cool as a cucumber in the Western ring. Arabian horse A perennial favourite among breeds of horse. Who can't admire the fabulous looking Arabian? With its beautiful dished faced, high tail carriage and showy presence the Arabian is one of the most beautiful and universally recognized horse breeds. It has great endurance, is hardy, strong boned and fast. Arabs are sensitive but gentle natured horses and require owners of the same nature! They are keen and quick to learn and well deserving of their popularity. Although Arabs are used for many equestrian sports, including racing, they predominate in the discipline of endurance riding. The Arabian horse is an ancient breed of horse originating in the Arabian Peninsula. Archaeological evidence of horses similar to modern Arabians dates to over 4,500 years ago. It is thought that the Caspian horse, which is like a smaller version of Arab, may be its progenitor. Today Arabian bloodlines are found in almost all of the modern breeds of riding horse, having been used to add refinement but toughness. They were instrumental in the development of Thoroughbred horses. Knabstrup horse The Knabstrup or Knabstrupper is a European breed of horse with the same coat patterns as the Appaloosa, ranging from solid to leopard spot, which is an especially favoured pattern. Patterns include blanket, snowflake, snowcap and “few spot”. Knabstruppers are strong hardy animals, but kind and easily trained. It is thought that this breed of horse which has one of the oldest breed registries in Europe, descended from the prehistoric spotted horses of Iberia. The founder mare was a chestnut blanketed mare brought to Denmark in 1812. She was purchased by Major Villars Lunn who owned an estate called “Knabstrupgaard” in Nordsealand, Denmark. 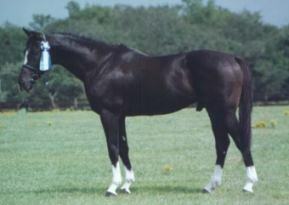 He bred the mare to a Fredricksborg stallion and produced an appaloosa patterned colt. The two spotted horses were bred to many good quality horses, establishing the Knabstrupper horse breed. Paso Fino The "Paso Fino" may refer to the Pure Puerto Rican Paso Fino (PPR), or the Colombian Paso Fino or Colombian Criollo Horse (CCC). 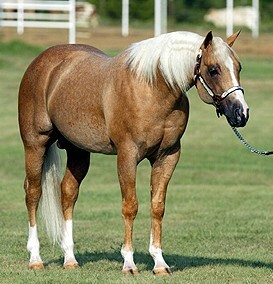 The Paso Fino is a light horse breed originally developed from imported Spanish horses, but the two groups developed independently of one another in the two countries. Paso Fino are naturally gaited horses with a smooth, four beat, lateral ambling gait. They are are particularly popular for trail riding. Thoroughbred horses The Thoroughbred is a well known horse breed, famous for horse racing. Thoroughbreds are revered for their speed and spirit. Apart from racing they're used in other riding sports including show jumping, dressage and fox hunting. They are also commonly cross-bred and used to improve existing breeds. They were influential in the creation of the Quarter Horse, Standardbred, Anglo-Arabian, and various warmblood breeds. The Thoroughbred was developed during the 17th and 18th centuries in England. Native mares, probably many of which were the now extinct Galloway horse breed, were crossed with imported stallions of Arabian, Barb, and Turkoman breeding. All modern Thoroughbreds can be traced back to three stallions imported into England in the late 17th and early 18th centuries, those being the Byerley Turk (1680s), the Darley Arabian (1704), and the Godolphin Arabian (1729). Unfortunately it seems likely that the high degree of inbreeding during the development of this breed has taken some toll, in the form of a high frequency of health problems and physiological defects. Warmblood breeds Warmblood is not horse breed as such. Warmbloods are a group of middle-weight horses of a certain type and include a number of breeds of horse and cross-breds. 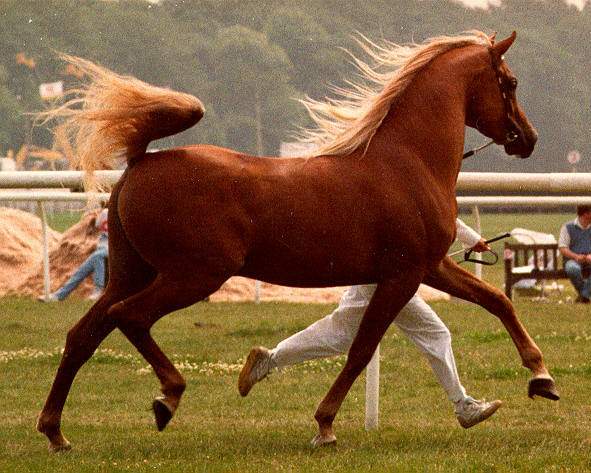 They primarily originate from Europe, bred as a sports-horse type. Registeries are typically have an open studbook policy with the the aim of breeding according to phenotypic criteria rather than breed specifically. Warmbloods are distinguished from heavy draft horses (often referred to as "cold bloods") and light "hot blooded" saddle horses such as the Thoroughbred and Arab. 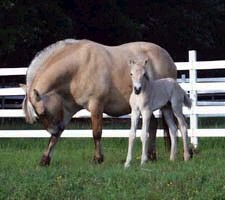 They are not direct first generation crosses of the two types, but rather descended from heavier agricultural horses that have been refined by inter-crossing with hot-bloodied horses so that there are now populations of a specific warmblood type. Norwegian Fjord Horse The Norwegian Fjord Horse is one of a few of the ancient breeds of horse and has probably been bred in geographic isolation for four thousand years or more, when it first migrated to Norway and was domesticated. Archaeological excavations of Viking burial sites demonstrate that Fjord Horses have been selectively bred for at least 2,000 years, when they were used by the Vikings as war horses. This lovely little horse is now one of the national symbols of Norway! A little about ancient breeds of horse.